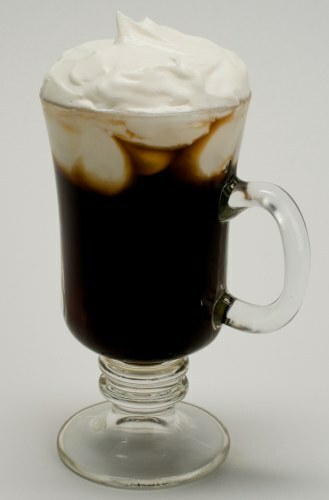 I happen to make the best Irish Coffee in the world. I learned how to do this in a small mesón in Madrid, but I have since gotten even better at it than the bartender at that establishment, where I studied long and hard under his tutelage. One Irish Coffee glass (preferably with shamrocks and a gold rim), failing that, any smallish glass about 5 or 6 fl. oz. FRESH heavy cream, laced with a dollop of white sugar, beaten until it’s the consistency of custard, but not whipped to fluffiness. In Madrid, they refer to this heavy thick sweet cream as “nata”. Then use the espresso steamer to heat the whiskey until it is good and hot and the brown sugar is dissolved about eight to ten seconds. CAREFULLY put a match or lighter to the glass and flame the whiskey for a few seconds. This adds a je ne sais quoi to the flavor and cuts down the alcohol, bringing the caffeine and alcohol into perfect balance. 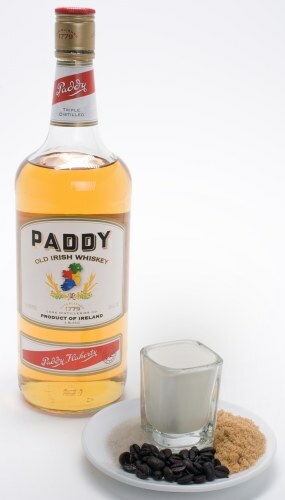 Pull your shot, and dump it into the whiskey/brown sugar mixture. Between the espresso and the whiskey, your glass should be about 3/4 full (that’s why you don’t want to use a really big glass). Carefully lay down a carpet of the “nata” over the warm coffee/whiskey mixture right to the top of the glass. Then, before the nata gets warmed up, enjoy the cool, rich cream juxtaposed against the hot, strong coffee/whiskey. Personally, I find these very addictive and therefore don’t drink them very often. New Year’s was the last time. But I can guarantee that you will never taste a better Irish Coffee than by using this method. I’ve had Irish Coffee at the Buena Vista in San Francisco which claims to be the world’s best, and it is a poor cousin to this one. The key is great espresso, the cool nata, and flaming the whiskey. These can also be made with Spanish brandy, but I prefer to stick with the Irish coffee. 11 Crazy Coffee Drinks You Won’t Find on a Starbucks Menu – More coffee-based drink ideas. 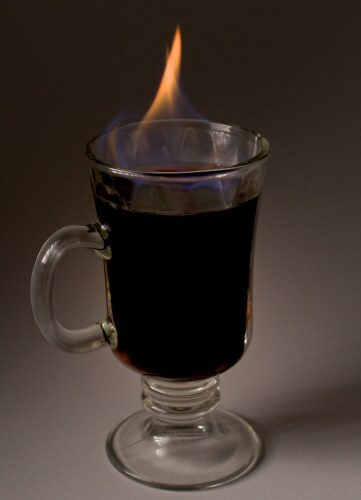 Spanish Coffee – A coffee drink that is made with rum and brandy. The Coffee Martini – Coffee inspired cocktail recipes that use vodka. 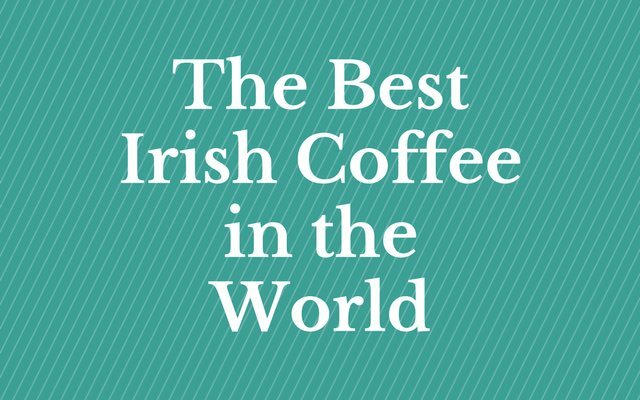 Jim Slaughter is a home roaster as well as an aficionado of Irish Coffee.